Friday Kitchen Concert volunteers are Amanda Pearcy for November and Nakia for December. Thank you both for volunteering – we can’t wait! A.J. Roach was invited to go to Scotland in late November and participate in the Burnsong Songwriting Workshop. The workshop will culminate with a performance at the Scottish Parllament marking St. Andrew’s Day. Way to go A.J.! ComboPlate Booking is now an official member of the Association of Performing Arts Presenters. Laura will be attending the APAP conference in NYC, January 8-12, 2010. As a part of the conference, Laura will be hosting a showcase on January 8th at the Living Room – featuring A.J. Roach, Ana Egge, Nels Andrews. In addition to the conference and showcase, we have good news that Laura was accepted as one of 27 participants into the APAP Emerging Leadership Institute, January 6-8, 2010. Here’s to starting off 2010 with a bang! Matt The Electrician has a new CD out this month – it’s called “Animal Boy”, and we LOVE it! If you are in Austin, please come to the CD release show on Friday, October 9th, at the Cactus Cafe. He will also be on the east coast this month. Texans are in for a special treat, AJ Roach will be back in the Lone Star State in October. He will be in Austin, San Antonio, Houston & Fort Worth this run. Check out his web site for details and come on out to a show! We are very excited about 3 Penny Acre coming to volunteer for the Friday Kitchen Concert this month. We met them earlier this year at Folk Alliance. We love them and can’t wait! Seeking intern for the Fall semester – email or call Laura for more information. She’s great to work with btw! Nels Andrews & Ana Egge embark on their European tour this month – have fun and send us a postcard at the office, okay? See their sites for the details – tour goes into October as well. Matt the Electrician got to debut his Alaska song “Bridge To Nowhere” last month in Ketchikan. Word on the street is that it was well received. This month Matt will be back in Japan where he will get to debut his song “Osaka In The Rain” – in Osaka of course! All of these songs and more are on Matt’s AWESOME new record “Animal Boy” – Austin CD Release show will be October 9 @ the Cactus Cafe – save the date. The Victor Mourning will be this month’s volunteer for the Friday Kitchen Concert at the Community Kitchen at Caritas. We are looking forward to hearing them and thank you for volunteering! We had sad news with Laura’s lap top being stolen in July. If you wrote her laura at comboplatebooking dot com address between late January and early June – she has no record of your emails and you may want to re-send her those emails or any pending business. Sincere apologies if this has caused any confusion or frustration to anyone. To the thief who stole the computer from the car while Laura attended a family member’s graveside funeral in San Antonio: yes we do miss the computer, you should feel bad about stealing it in general and especially during a time of such reverence, do the right thing and return it. Also, it is illegal to buy a stolen computer – FYI, world! Thanks to Greg Koons who stopped by to play the Kitchen Concert @ Caritas in July when he was on the road, and we are looking forward to Elizabeth Wills in August. Y’all are the best! Matt The Electrician will be touring the west coast in August – check out his web site for all the fine details as our site here is very out of date! Ana Egge was a guest on NPR’s Mountain Stage back in March – the show aired in June, and Ana’s set can be heard by clicking right about here. Also, check out her recent Rolling Stone review as well. Two testimonies indeed to the success of new record, hooray Ana!! Oh yeah.. Ana also has a new video for her song Storm Coming. Ana has been one busy woman, she just got off the road spending one month as a member of Joel Plaskett’s band. She will be back home and playing her own shows in LA, NYC and Austin in June & July – check her web site for details. Thanks to Ben Mallott for playing the Kitchen Concert in May, and we are looking forward to Wendy Colonna performing in June. The generosity of Austin musicians continues to amaze us. We are looking for volunteers through the end of the year, please call or email if you’d like to learn more – or look at the Volunteer page to your left. The approach to summer has the roster very busy, but we are always looking for more performance opportunities and especially private events. Please feel free to call Laura if you have any questions at all. Thank you to everyone who came to the Roster Party & SXSF Benefit last month. The raffle monies and band tips PLUS the online donations totaled over $1700 this year! All of the money goes to the Community Kitchen at Caritas of Austin. Thanks to everyone for their support. And a big thank you to the volunteers who worked the event, the bands who played the event, and to Gueros for letting us have our event at the venue once again. We appreciate it! Also thank you to these AWESOME Austin businesses who donated gift cards/certificates to the raffle: Opal Divines, Ginger Man, Flipnotics, Jo’s Coffee on 2nd Street, Iguana Grill, Whip In Parlour Cafe, Gueros Taco Bar. Be Cool – Support SXSF Raffle Donors! This month’s Friday Kitchen Concert volunteer is Mike Wood. Thank you Mike for finding us on the world wide web and for reaching out to us about volunteering. We love it when that happens. The six and half hour party raises money for the Caritas of Austin Food Services programs, specifically the Caritas Community Kitchen and Food Pantry. The event is hosted and promoted by ComboPlate Booking. Free and open to the public, live music will be provided by the artists on the ComboPlate Booking roster and friends. Money will be raised by raffling gift cards from local businesses. Also, all band tips will go to Caritas. Austinites who would like to help fight hunger in Austin – and hear some great live music while they are doing it – are encouraged to come to Gueros on March 18th. This year we have also added an online donation page: www.firstgiving.com/southbysoupfest. Laura will be on KGSR on Friday March 13th around 8:45am, inviting everyone in Austin to come down to Gueros on March 18th. Hope to see you there! 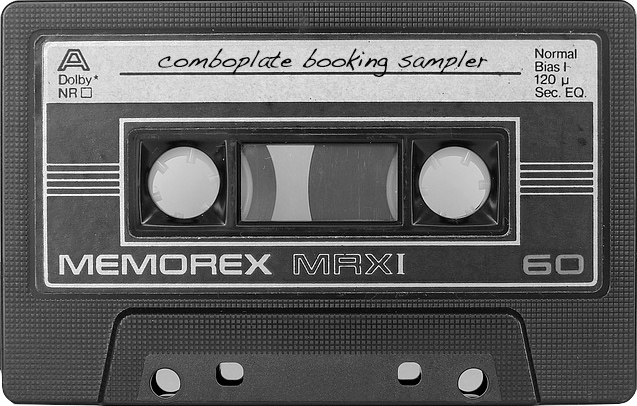 ComboPlate Booking will be at Folk Alliance in Memphis February 18-22. A.J. Roach, Ana Egge & Nels Andrews will be showcasing all week. Laura will be co-hosting the Indie Agents Collective Folk & Roll showcase room, and the collective have a booth at the Exhibit Hall as well. Schedules for ComboPlate artists and the showcase room can be picked up at the IAC booth (look for the booth with the coolest banner). If you are attending, come by and pick up a schedule! More on the collective here: www.folkandroll.com. The South By Soup Fest Benefit is scheduled for next month, Wednesday March 18th, 2pm-8:30pm, at Gueros Taco bar. Online donations are underway already here: www.firstgiving.com/southbysoupfest. Vanessa Lively is this month’s volunteer for the Friday Kitchen Concert. Thank you Vanessa!! The SXSF private showcase for the clients of the Community Kitchen is well underway and will be announced in early March. We have confirmed artists from as far away as Hawaii and Nigeria. It’s going to be another great year from music all over the USA and world. Laura just returned from a holiday in Australia. While there, she took an afternoon off to be interviewed by FAR DJ Colin Fielding in Melbourne. Colin dedicated his entire Folk N Roots show on 3INR-96.5 Inner FM to the great singer songwriters on the ComboPlate Booking roster. Between songs on the two hour program, Colin interviewed Laura about all of the ComboPlate artists’ deep dark secrets. Too bad the shows aren’t archived online, hopefully you were listening live on the web! Thank you Colin for all of your hospitality during our visit. We can’t wait to see you at the Roster Party during SX on March 18 @ Gueros, we hope you will be a celebrity guest again! Our good friends at Whip In are starting a Sunday Songwriters Series which will benefit the Groundwork Music Project. This series will be ongoing with music from 6-10pm at the new Parlour Cafe located inside Whip In.Â Nathan Hamilton will be kicking off the new series on Sunday, January 25. We hope you can go hear the music and support one of our favorite local businesses and one of our favorite local charities at the same time – every Sunday night! Twitter speak – looking for spring intern, getting ready for Folk Alliance & SXSW, working on spring dates, now on skype. Aimee Bobruk will be this months Friday Kitchen Concert Volunteer. We look forward to hearing you Aimee! Looking ahead – mark your calendars – Wednesday, March 18 is the date for this years ComboPlate Booking Roster Party, aka South By Soup Fest Benefit. We will be back at Gueros on South Congress Ave. Donations will all benefit the Community Kitchen at Caritas of Austin as usual, and this year we are excited to announce that you can also make your SXSF donation by clicking right here on our South By Soup Fest online fundraising page. You can start donating today! Thanks for helping spread the word on our annual fundraiser for our favorite local charity.